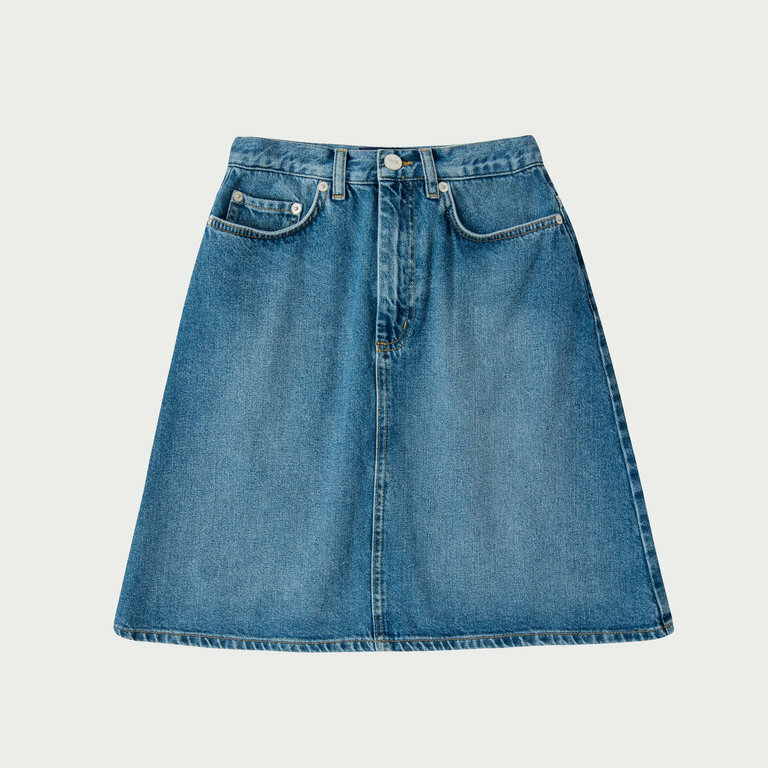 WoodWood's Ynes denim skirt in Classic blue vintage is crafted in 12,8 premium oz European denim and features a slim A-shape, 'W.W.' branded solid iron cast button, relaxed top block, button and fly zip closure. WoodWood's Ynes denim skirt in Classic blue vintage is crafted in 12,8 premium oz European denim and features a slim A-shape, 'W.W.' branded solid iron cast button, relaxed top block, button and fly zip closure and a small W.W. tab label at the right back.